The Hive's Challenge is ten days away! I've been busy prepping and sewing (and packing for our late August move). 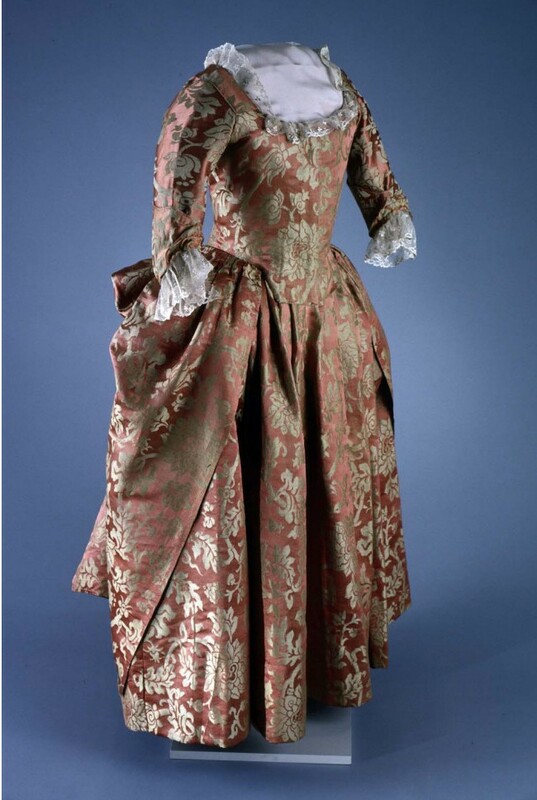 I'm recreating a red silk Chinese damask gown from Colonial Williamsburg's collections (Accession Number 1985-143,2). 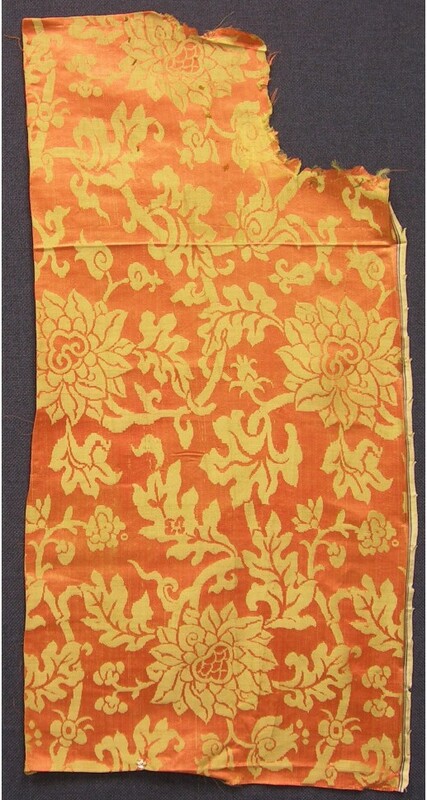 I found really awesome silk on ebay that I think is a close match for this project. ...and this is the silk I found. I bought the whole roll of 5.3 yards, which is enough for a gown but it might not be enough for the matching petticoat. The fabric originally measured 54 inches wide. I cut it in half so each panel now measures 27 inches wide. 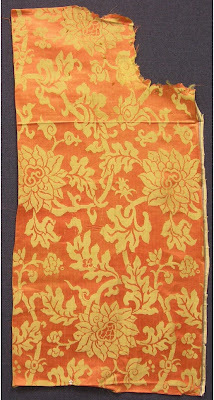 The original fabric is 29 inches wide. I veeery careefully laid out the pattern pieces and cut the fabric. I don't have any room for error (both for conserving the fabric and because of time constraints). ...and the sleeves are ready to go! 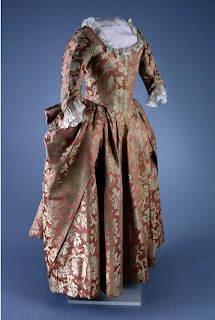 Wow, that's an amazing fabric match! Can't wait to see the finished product. 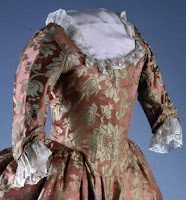 You can always put another piece of a different fabric or color in the back of the petticoat, so the top half will be different than the bottom but you'd never see it, even if you polonaise it! Good idea...I think I have enough for a petticoat. There's an advantage to being short!